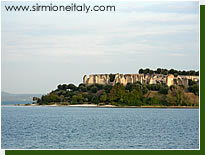 Sirmione is one of the most popular "sights" on Lake Garda, with thousands of visitors flooding in each day to view the picturesque peninsula. It may not be the best known place to stay for a lake holiday in Italy, but images of the castle and Roman ruins feature in every information booklet about Lake Garda. 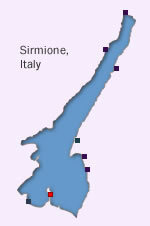 We hope you find the Sirmione Italy website useful and look forward to hearing your comments about the site and the village. We especially welcome any views about the resort from those who have stayed there.